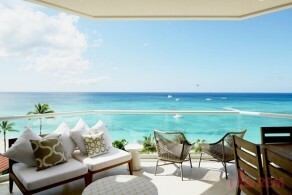 The Cayman Islands are popular & famous for its picturesque beauty, stunning white sandy beaches and balmy weather. These are just a few reasons expats are drawn to the Cayman Islands be it for work or for pleasure. In the Cayman Islands, finding a good tenant is not a daunting task, whether it is for a short term, vacation rental or for a 12 – 24 month long term agreement. Most landlords are eager to keep the landlord - tenant relationship a healthy and productive one. But, we must not forget, like the tenant has some expectations from the landlords, the landlords have some from the tenant too. The tenants have a certain responsibility towards their landlords. Some landlord-tenant relationships last for a year, some for decades. When tenants get to establish a positive and healthy relationship with their landlord, it helps in the long run. Here are some of the expectations that a landlord has for their tenant. Want to stay in the good books of the landlord? Pay the rent on time, this is first and foremost when it comes to laying the grounding for a good Landlord/Tenant relationship. As for the financial penalty for a late rent payment, the landlord has a few options. They may charge an immediate penalty fee, or a percentage of the rent for each day it’s late, or a set dollar amount for each month of the late payment. This is something that is clearly laid out in the lease agreement the tenant signed, so be sure to read through what is expected of you and what the penalties will be in the event the rent is late. Is the toilet blocked? Is tap leaking? Is the AC not working efficiently? Communication is the key to solving any existing problems. If the tenant is facing any problems, then they should report these immediately to the landlord. Hiding the crucial facts about the problem been faced will not help to solve, instead, will escalate the existing problems. Being polite and calm helps a lot in maintaining good landlord-tenant relationship. Don’t always be ready for a fight and try to be acceptable towards what they have to say. Love the landlord’s property as much as you would love your own. Misusing the property will show negligent behavior and an irresponsible attitude. Avoid damaging the contents of the house and make sure that you keep the property in the state you received it in. If there are some issues that you have addressed to your landlords and are still pending resolution, wait and give your landlord sometime to resolve them. They might already be on it but might be facing circumstances out of their control. If the tenant start pestering the landlords with their problems, they may get frustrated and annoyed. If you have a pet or intend to get a pet, ensure the landlord is aware of your intentions, as in some cases, the Strata does not allow for pets, make sure you are aware of any strata rules regarding pets. If your lease allows for pets, you will be expected to pay a Pet Deposit, in most cases, it is usually $500 which can either be refundable after certain items have been professionally cleaned or non-refundable should the landlord feel it necessary. These things should be made clear in the lease prior to signing, if it is not, be sure to ask! Your Lease agreement should clearly outline the required notice that your Landlord expects from you when you want to vacate the Property. It is customary to give at least a months notice, more where possible so your Landlord can make arrangements to find new tenants. Notice should be in writing, email or letter, and all bills paid up to to date upon exit. We hope you find these tips helpful to a happy tenancy! Keep checking back for more helpful tips for Landlords and Tenants.